Activated platelet. 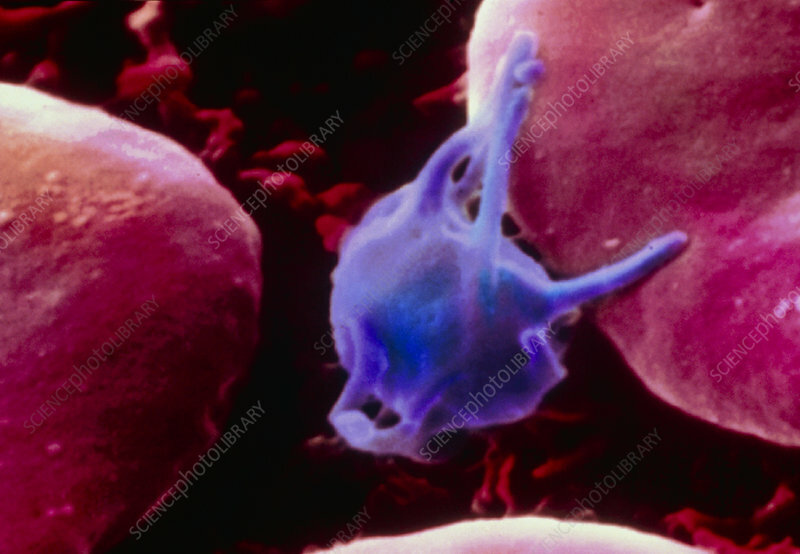 Coloured Scanning Electron Micrograph (SEM) of an activated platelet (blue) among red blood cells. Platelets, or thrombocytes, are small non-nucleated cells found in large numbers in the blood. When inactive they are round or oval discs. When activated they grow finger- like processes called pseudopodia (as seen here) and clump together to form blood clots. Magnification: x6000 at 35mm size.